A Christmas Story. Hear funny moments from this unforgettable scene. Batteries included. 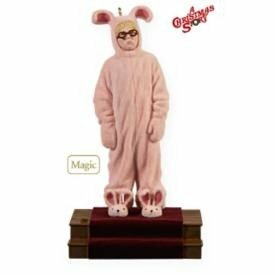 4 1/2"H.
Items Similar To "2009 Hallmark RALPHIE'S PINK NIGHTMARE~A Christmas Story Ornament..."